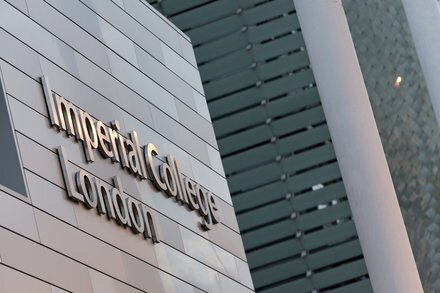 Six months ago, we joined a groundbreaking new research partnership led by the Cancer Research UK Imperial Centre at Imperial College London to explore whether AI technology could help clinicians diagnose breast cancers on mammograms quicker and more effectively. Breast cancer is a huge global health problem. Around the world, over 1.6 million people are diagnosed with the disease every single year, and 500,000 lose their life to it – partly because accurately detecting and diagnosing breast cancer still remains a huge challenge. Working alongside leading breast cancer experts, clinicians and academics in the UK, we’ve been exploring whether machine learning (a form of AI) could help address this issue. Today, we’re delighted to announce that this project is expanding internationally, with The Jikei University Hospital, one of Japan’s foremost medical institutions, joining the collaboration as part of a wider five year partnership they have signed with DeepMind Health. For the purposes of this research, they will be working with us to analyse historic, de-identified mammograms from around 30,000 women taken at the hospital between 2007 and 2018. These will be analysed with AI technology alongside the historic de-identified mammograms already provided by the UK OPTIMAM mammography database in order to investigate whether the technology can spot signs of cancerous tissue on these X-rays more effectively than current screening techniques allow. De-identified breast ultrasounds from around 30,000 women and 3,500 de-identified breast MRI scans will also be shared by The Jikei University Hospital during the course of the project. Working with partners and data from multiple countries in a single project is a first for DeepMind Health. We hope that doing so will help us work towards our ambition to create technology that works for everyone around the world, because it will help us minimise bias. Bias can occur when you train an AI system on data which doesn’t accurately reflect the people it is being designed for, and it’s a serious problem. By under-representing or even excluding certain groups from a dataset – be it by age, ethnicity, or gender – you create technology which doesn’t best meet their needs. In health, where genetic and biological differences between certain groups are commonplace, this could have a huge impact on patient care. In the field of mammography, for example, there can be considerable variations in breast density between ethnic groups. Bias in our AI system could therefore result in breast cancers being misidentified or even missed altogether if the technology is not set up to reflect these differences. Training our algorithm on representative datasets from the UK and Japan is one of a number of ways we’re looking to overcome this. In time, we hope to extend this research further to other international partners too. As with all of our research, DeepMind is committed to treating the data from The Jikei University Hospital with the utmost care and respect. As is standard practice, the data being used in the research remains in the full control of our partners, and is being stored to world-class standards of security and encryption. Additionally, all medical information will be de-identified before it is transferred, with any information that could identify an individual being removed before researchers can conduct their analysis. More details on the de-identification process that has been applied to this data can be found here. It’s early days for this work, but we’re optimistic about the long-term potential for AI technology in this area and hope, in time, to explore how it could help in the analysis of other forms of breast imaging. It’s a hugely exciting opportunity to make a difference to breast cancer treatment across the world, and we’ll keep you updated as we continue on this journey.